JLP Home Improvement | We are building for the future. Welcome to JLP Home Improvement. We are a general contracting company that seeks value through our customers’ satisfaction as well as maintaining a results-driven ethos. JLP Improvements is a family-owned company that has been operating for over 15 years and has handled more than 3 thousand projects. 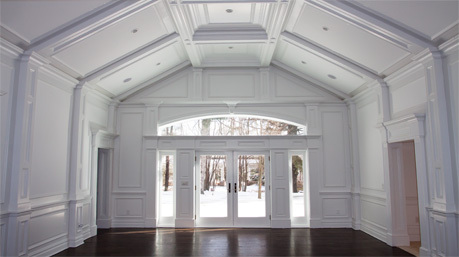 We work in Connecticut and New York; we’re licensed and fully insured. We take great pride in demonstrating our ingenuity through excellent craftsmanship in every project we tackle, be it through our remodels, painting services, cabinetry, design or custom built-in work. We believe in looking ahead and perfecting our trade by continuously striving to build a company that suits every client. 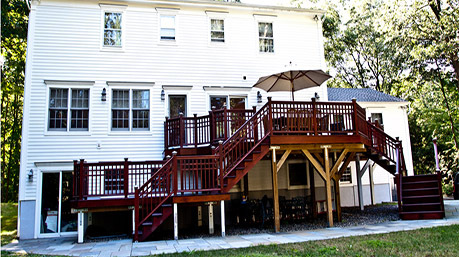 We perform all kinds of remodeling work of all types on both commercial and residential properties in Connecticut & New York. 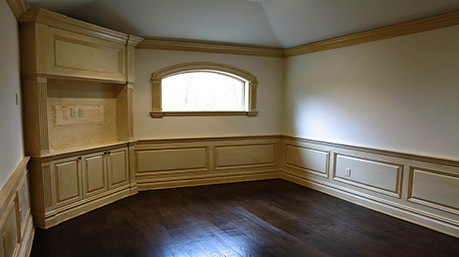 We provide services such as professional basement finishing, kitchen remodeling, bathroom remodel, home additions, tile installation, patio construction, interior painting, exterior painting, staining, finishing, and much more. For the complete list, visit our service page. Liability Insurance & Workers Compensation: After we have come to an agreed and sound plan for your project, we’ll submit a copy of our Contractor License and a Certificate of Insurance from our Insurance company. Our residential insurance policy covers 1 Million dollars in damages, and our commercial insurance policy includes 2 million dollars in damage cost, we also forward a list of references that you may contact to ask about our services. 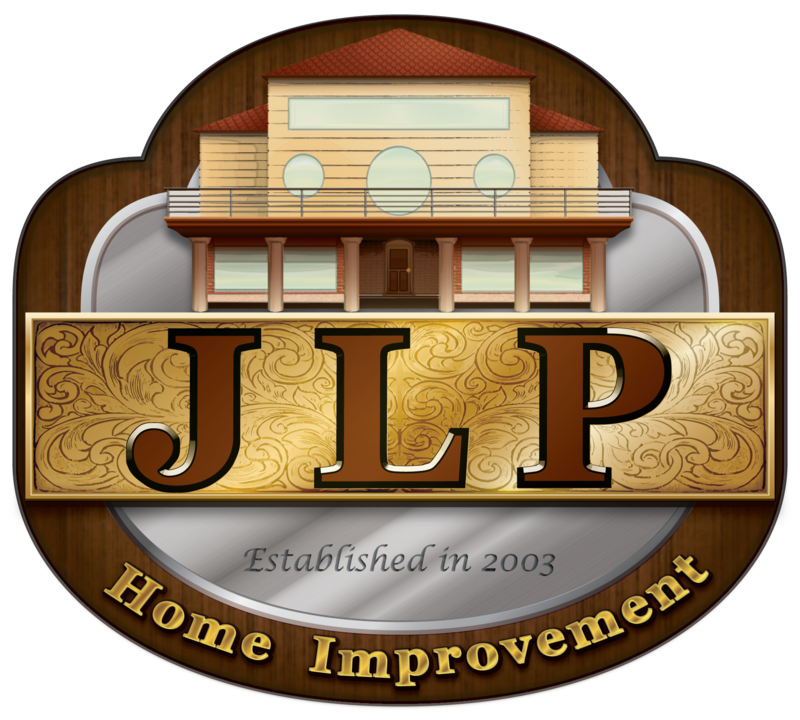 JLP Home Improvement employees are covered by workers compensation. City Hall Permits: Depending on the scope of work that you would like to have done in your home, specific projects require city permits to allow us to start and finish your projects. Since we are licensed and insured, we can pull permits from your town’s City Hall. Specific projects require architects, architectural drawings or engineers, we able to recognize when service from other professionals is needed. We strive to gain the full trust of our customers by being utterly transparent and submitting a detailed proposal with a view of costs and materials for the project ahead of us. Your time is significant to us, so we assure that deadlines will be reached and if there are any roadblocks along the way we make sure to keep in contact and be accountable to our customers. Our Work Warranty: Depending on the service we provide, we can warranty our work between six months to two years. We take great pride in displaying our craftsmanship, and we feel that it is essential to guarantee our work! Damages caused by natural events or physical damaged caused by a person is not covered in our warranty, Ask for more information!or more information! 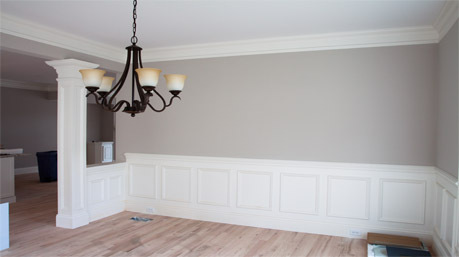 JLP Home Improvement began as an interior trim contractor. Throughout the years we expanded our services, including a custom woodworking shop to better serve our clients. We take an artistic approach in displaying our craftsmanship through our carpentry work with some of the finest architects, designers, and builders. Give us a call to discuss your project. 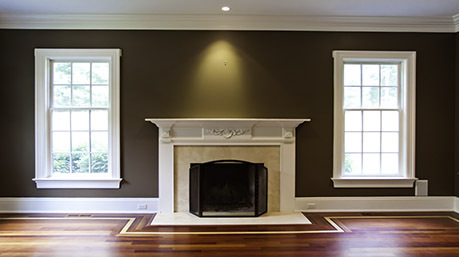 Choosing the right paint color for your home may be a difficult task, so let us find the right palette for your home. We even offer custom illustration and design work that will surely update a room or a wall. No matter what type of home improvement project you are thinking about for your home or business, be sure to give the experts at JLP Home Improvement LLC a call today! Since 2006 we started working on installing and refinishing hardwood floors. 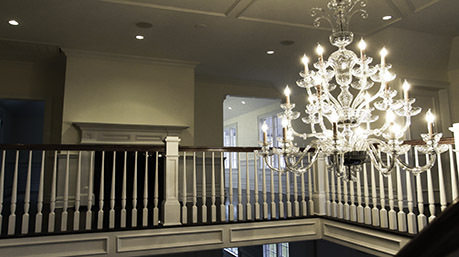 We began with small residential and commercial jobs, developing a reputation for being one of Connecticut and New York prime flooring companies. From floor installations, stain and repairs we are more than capable of accommodating your flooring needs. Give us a call for a free estimate! Our goal is to build your dream exterior space by listening to your vision, understanding your design taste and your idea of functionality. When it comes to deck repairs, we can assist you with figuring out the causes of damage to your deck and finding solutions to repair them. We offer our experience and recommendations to help with your planning and decision process. We have encountered numerous tile projects throughout the years that require masterful skills and experience to ensure our clients’ satisfaction. 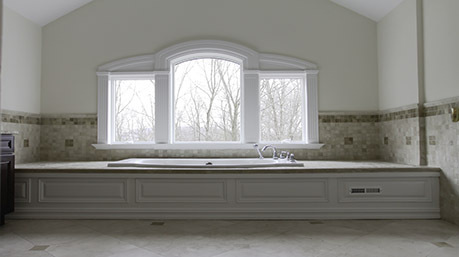 We have experience with tile installations and kitchen and bathroom remodeling in residential and commercial projects. We take great pride in our craftsmanship to exceed your expectations. Remodeling your home can be a long and tedious process, usually requiring a team of professionals to help you achieve the look and style you want. A complete interior and exterior renovation can take between two to three months to complete. We help our clients structure and organize their remodeling projects as we understand that renovating your home is not an easy task. Additions to your home can Increase your indoor living space and create your houses luxury, whether it be a deck extension, basement remodels, or just a simple added sunroom and garage. Adding on to your home is a fun way to bring new life to your home and add some value to it as well! We specialize in meeting your needs and achieving your dream home. 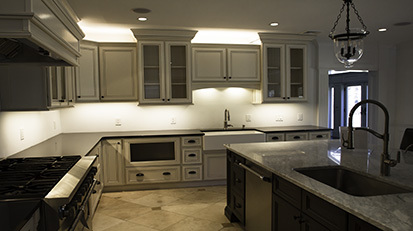 Whether you want to design a new kitchen layout or give your old design a little face-lift, our remodelers have the expertise and skill to turn your visions into reality. They will work with you every step of the way to make sure the work that they do reflects your ideas. We work with a wide verity of vendors that in the past deliver exceptionally to top grade kitchen cabinets, choosing the right layout and style of your kitchen can take time and deliverance. We as a team have set goals to make sure all your culinary needs achieved with style and grace. 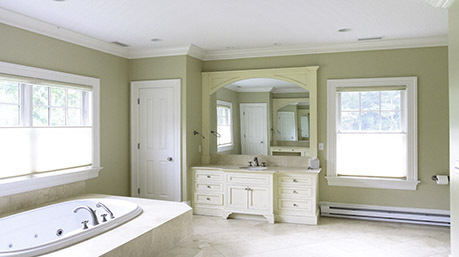 Your bathroom is an essential part of your home, whether you want to change the whole look or swap up some colors our wide variety of expertise and craftsmanship can help you get there. From tiling to taking out a tub and adding a walk-in shower we are here to help. Even a simple vanity swap with two sinks instead of one could be just the change you’ve been looking to achieve. Your basement isn’t just a basement! Whether you’re looking to finish your man cave or add a guest room to your home for your friends and family. 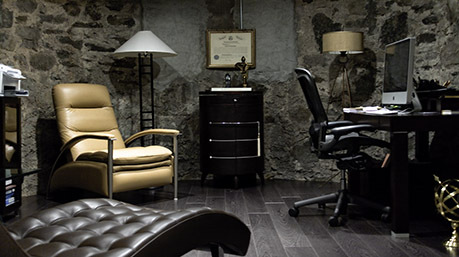 Your basement is the best place to allow your creative juices flow, make it a show! You can never go wrong with a new home theater or ditching your gym membership and bringing the gym to you. We can help you turn this storage area into a more functional space. We can turn it into a man cave, or maybe an entertainment area? Unleash your imagination! We will help you get the results you desire. Every project is completely customized based on your home and personal aesthetic. So, whether you know exactly what you want or have a general idea, we will work with you until you find a design and build that is truly unique and indeed ‘you.’ When designing custom furniture for your home, we recommend that you have a couple of references that could help us piece together your ideas into a piece of functional art. Before we start building your project, we begin with a final design and your approval of materials and layout. If you want further information pls give a call! 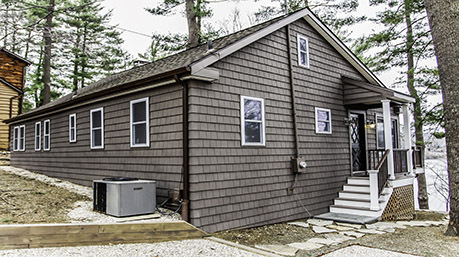 Your siding is the life of your home. When it looks good, it feels good. With such a wide variety of siding out there these days changing the wardrobe of your home can be done! 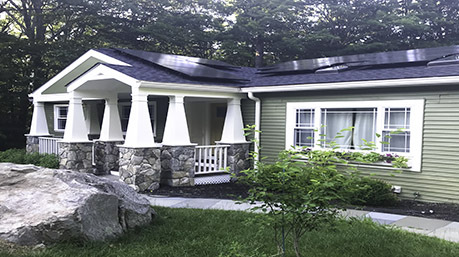 Even a simple color swap can give the vibrancy of your home a whole new meaning or also changing the materials of your siding; it depends what you would like to have done. Are you looking to renovate your business? Throughout the years we’ve renovated numerous commercial spaces for our clients, whether it’s a dance studio, a restaurant or lawyer offices we are more than capable of handling your task at hand. 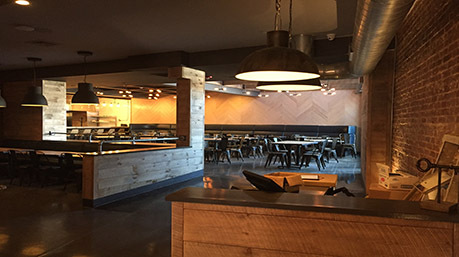 Renovating a commercial space is not an easy task. Usually, it requires permits and group of professionals get your renovations completed accordingly and on schedule. Let us be a part of your renovation team give us a call for and schedule appointment for a free estimate!